With just a week left until the 8th Annual BioBanking Conference on the 13th and 14th June 2018 in London, UK, places are becoming increasingly limited and it is the last chance for potential attendees to book their places. Since the 1990s, Biobanks have been an important resource in medical research, supporting many types of contemporary research, such as genomics, personalised and stratified medicine. Before the advent of biobanks, researchers struggled to acquire sufficient data samples. Today, biobanking is a rapidly growing market, with leading biobanks now facing questions in medical and research ethics, as well as having to adapt to the new GDPR data protection law. BioBanking 2018 conference is set to attract internationally recognised biobanks who will be speaking and attending at this year’s event, with the aims of addressing some of the challenges, opportunities, and potentials of biobanking. This highly-anticipated event will investigate the important changes in regulation, especially as GDPR comes into place, as well as defining some of the most successful applications of biosamples in the market and giving updates on the latest technological developments in the field. The two-day event will bring together some of the greatest minds, key influencers and scientific pioneers from biobanks, biorepositories, pharmaceutical companies and academic institutions. 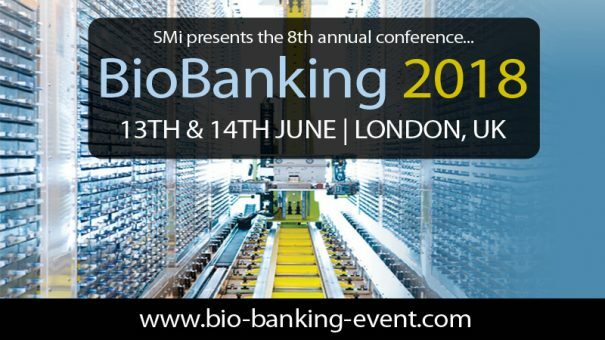 European Sperm Bank UK Ltd.
BioBanking 2018 is set to provide attendees with over 16 presentations from experts in the field of biobanking, as well as the unparalleled opportunity to learn and network amongst an unrivalled gathering of senior scientists and major players from biobanks, biorepositories, universities, pharmaceutical companies and more in this thriving industry.